IS ART JUST A PASSING FAD? I am a bit non-plussed by Colin Nichol’s critique in the Fremantle Herald of the new large mural paintings in Fremantle that were created as part of the PUBLIC2015 symposium. Colin writes that “the last thing Fremantle needs is more of the same yet here it is.” But the new artworks, like them or not, are all original and not more of the same at all. 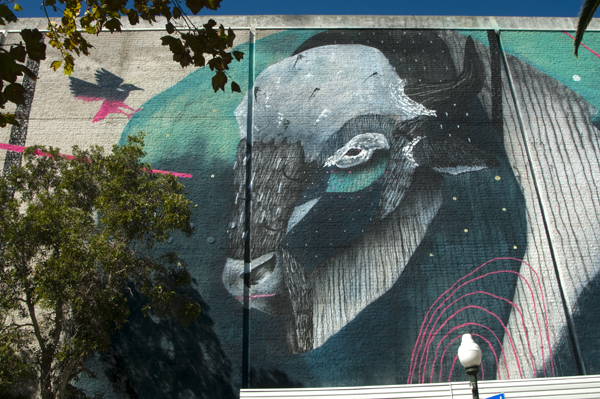 The stunning work by artist TWOONE on the Myer building is an example of outstanding graffiti art and somehow, if the Kings Square development ever happens, that work should be preserved and not demolished during the planned facelift for the building, because this is a prime example of modern art in 2015. 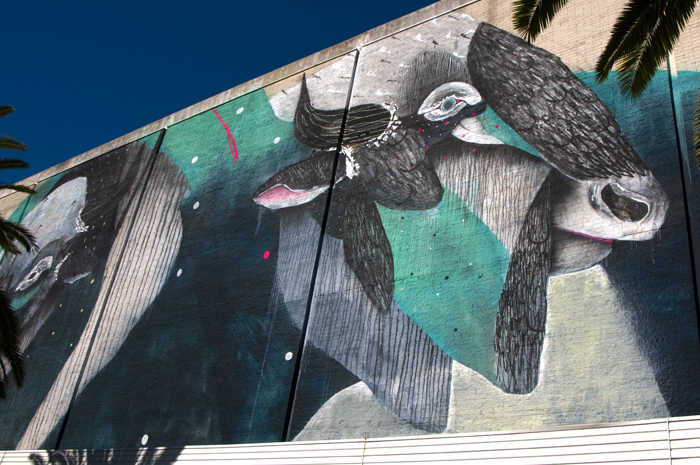 Nichols argues that by allowing the murals to be painted Fremantle supports the indulgence of a passing fad, but art is always changing and that is precisely why it is so important to show future generations what our culture was all about now. Should Michelangelo not have been allowed to paint his sublime murals in the Sistine Chapel because it was a passing fad? Are Aboriginal rock art paintings irrelevant because they are just part of another passing fad, like piercings and tattoos? Colin Nichol seems to argue that we might as well not do it because it does not last. Yep, why change fashion, the way we design and build houses, or why have modern cars. They are all part of our passing fads because nothing remains the same in life. The most remarkable statement in the article is that because “these adornments are thought to be necessary implies criticism of the current condition and care of the city centre.” No it does not do that at all Colin! What the artworks do is not criticising the architecture or neglect of a building but enhancing the public realm, and that is the aim and intend of all public art, no matter if it is painted on walls or put on the pavement. Art is an essential expression of our culture and it shows how we have changed over the centuries. It is great we can juxtapose old and modern architecture and that we can look at an ‘old-fashioned’ bronze sculpture next to a huge modern mural. It opens our eyes to the past and present and inspires us to create a different and hopefully better future.